Abstract: Organic geochemical and stable isotope investigations were performed to provide an insight into the depositional environments, origin and maturity of the organic matter in Jurassic and Cretaceous formations of the External Dinarides. A correlation is made among various parameters acquired from Rock-Eval, gas chromatography-mass spectrometry data and isotope analysis of carbonates and kerogen. Three groups of samples were analysed. The first group includes source rocks derived from Lower Jurassic limestone and Upper Jurassic “Lemes” beds, the second from Upper Cretaceous carbonates, while the third group comprises oil seeps genetically connected with Upper Cretaceous source rocks. The carbon and oxygen isotopic ratios of all the carbonates display marine isotopic composition. Rock-Eval data and maturity parameter values derived from biomarkers define the organic matter of the Upper Cretaceous carbonates as Type I-S and Type II-S kerogen at the low stage of maturity up to entering the oil-generating window. Lower and Upper Jurassic source rocks contain early mature Type III mixed with Type IV organic matter. All Jurassic and Cretaceous potential source rock extracts show similarity in triterpane and sterane distribution. The hopane and sterane distribution pattern of the studied oil seeps correspond to those from Cretaceous source rocks. The difference between Cretaceous oil seeps and potential source rock extracts was found in the intensity and distribution of n-alkanes, as well as in the abundance of asphaltenes which is connected to their biodegradation stage. 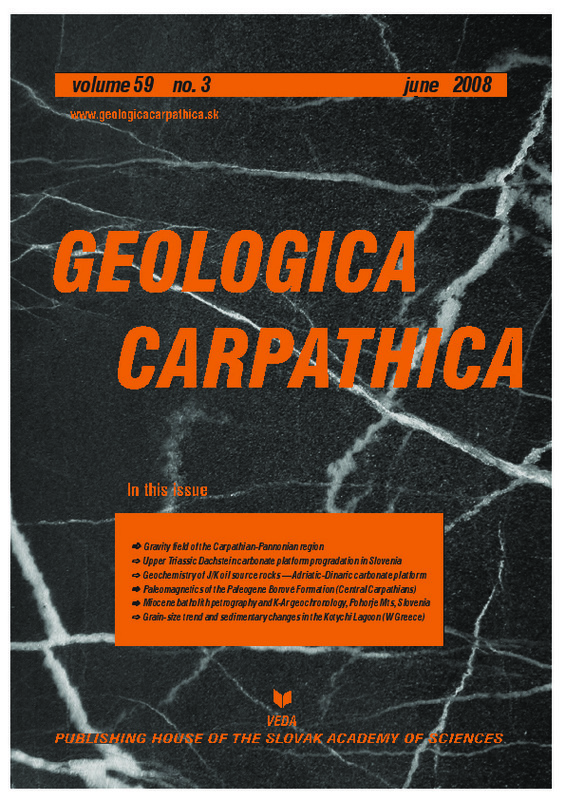 In the Jurassic and Cretaceous potential source rock samples a mixture of aromatic hydrocarbons with their alkyl derivatives were indicated, whereas in the oil seep samples extracts only asphaltenes were observed.